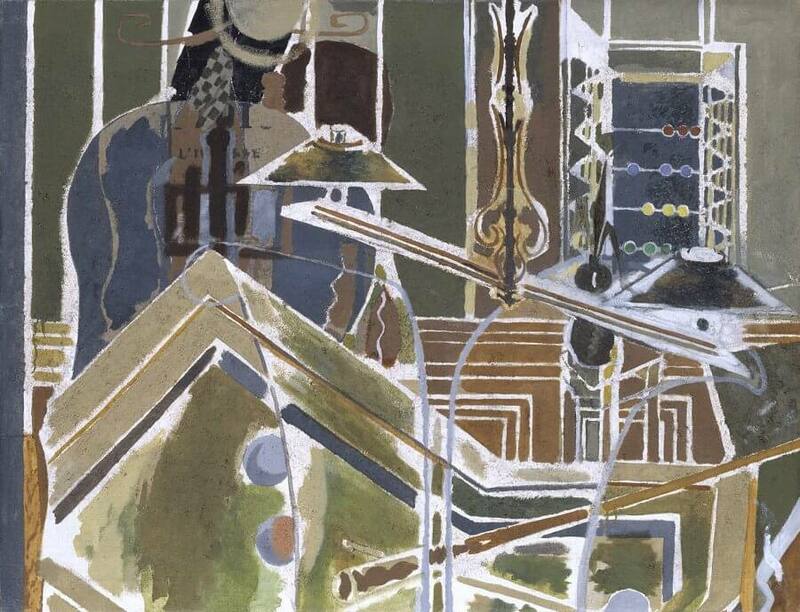 Braque was first led through his Cezannian obsession with the representation of space to paint Gueridon, 1913. At that time he was. 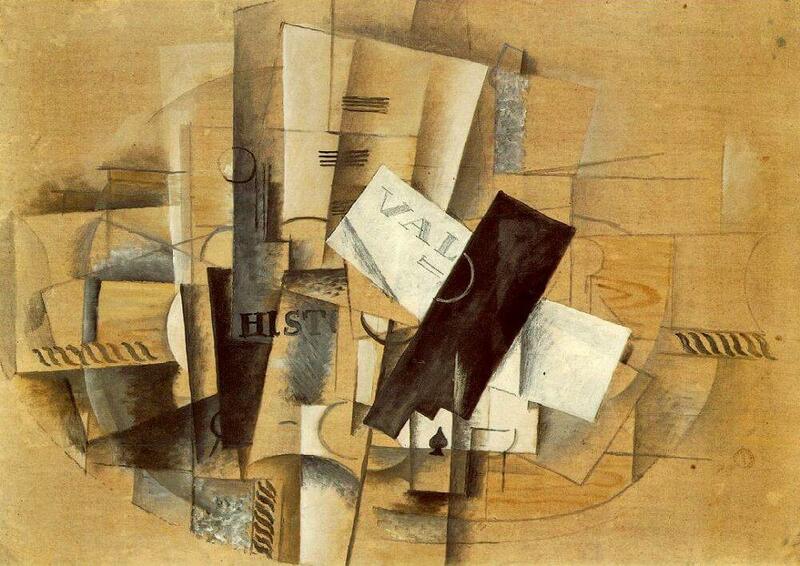 above all, concerned with problems of volume, forms and how to represent space around them. 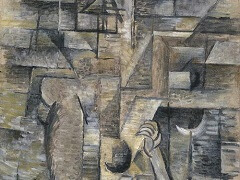 In this painting, Braque followed Cezanne in establishing a "visual" space between the spectator and the nearest plane of the table, which he then spatially flattened by folding it upward across the middle. 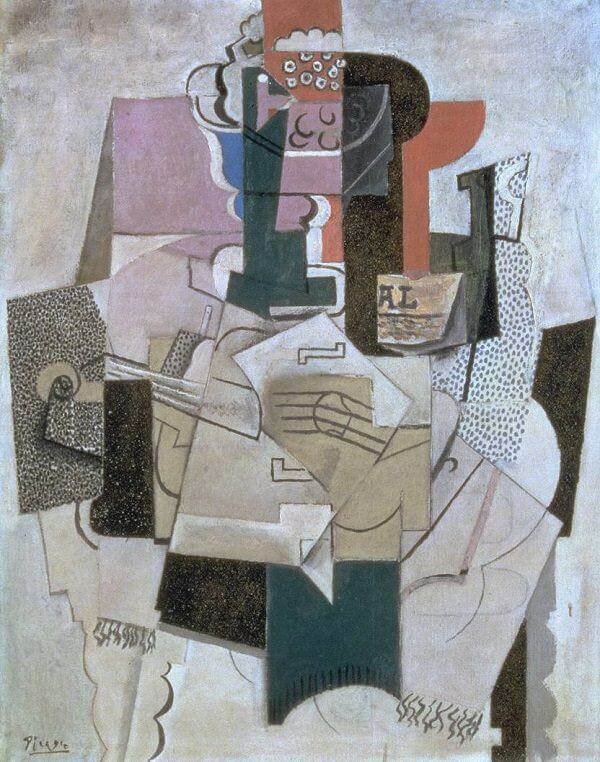 This Gueridon is spatially coherent and legible with the faceted objects being piled upward against a faceted background plane. 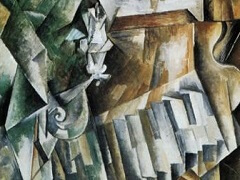 However, nothing is within reach because we are looking at the table from a certain distance. 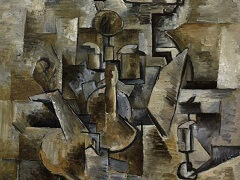 Braque painted a new series of Gueridons in 1918-19. 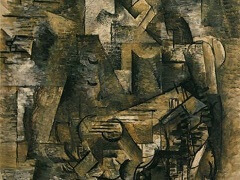 The new series was a return to a subject which he had not only been the first to handle, but which he had transformed stylistically between 1911 and 1913, and could now take up and elaborate. In the meanwhile. 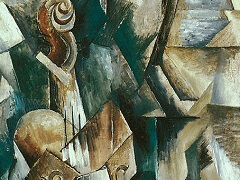 however, this subject had been appropriated and given a personal treatment by Picasso, and Henri Matisse. 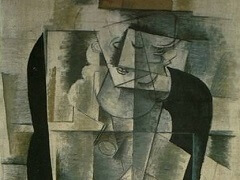 A painting by Picasso begun in 1913 and finished in 1914 Bowl of Fruit, Violin and Bottle (shown below) is related in conception to Braque's 1913 painting, which he probably saw. But since it was worked on much later it is more elaborate and colorful. 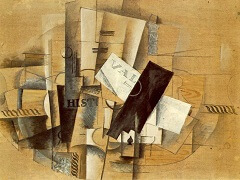 Its forms are bolder and its spatial structure simpler than those of Braque in 1913.